AUSTIN, Texas - Jan. 16, 2017 - PRLog -- An easy way to organize all of your small tech gadgets and accessories is to use the fashionably, lo-tech cotton pouches offered by Wonderkul. These handcrafted pouches offer a simple and rustic solution to getting your little gadgets' parts and pieces organized. Wonderkul announced today that inventory of its Nepal crafted cotton pouches has been replenished for the new year. These unique and useful coin purses are ideal for traveling or just day-to-day use in your backpack, purse or briefcase. 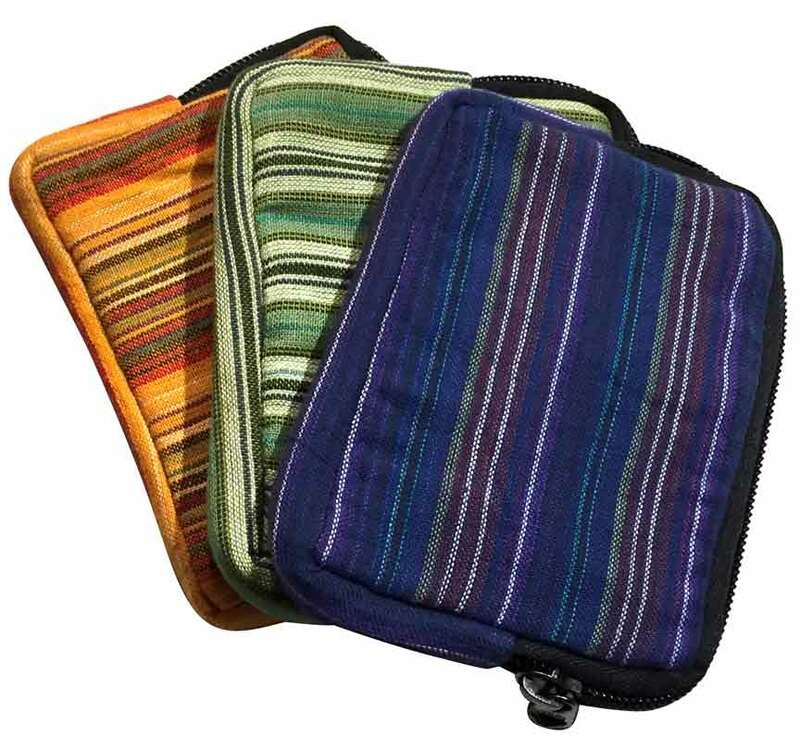 Sold in sets of three, the 4 x 5 inch pouches provide lots of options for keeping your things organized and easy to find. As the number of "essential" tech gadgets multiply so do the number of plugs, cords, memory sticks, audio jacks, adapters and batteries required. A simple, yet effective way to get the "must-have" items organized for quick and easy access is to use these multipurpose cotton pouches in the personal and portable spaces frequently utilized. A Wonderkul spokesperson was quoted saying "How many times have you rooted around in the bottom of your bag looking for your ear-buds, only to find them inexplicably wrapped around your sunglasses? These little pouches are the perfect solution. I can easily fit all of my tech accessories in one pouch and my lip balm and breath mints in another. Getting organized with these cotton zippered pouches is such a simple, fun and effective solution—http://www.amazon.com/Set-Zippered-Organizer-Handmade-Multi-use/dp/B01FWNO0SW/ref=sr_1_10?ie=UTF8&qid=1471641817&sr=8-10&keywords=nepal+cotton+pouch. These unique, hand crafted, cotton zippered pouches make it easy to keep essential tech and other gear—like mobile plugs and cords, change, keys, cards and id, lip stick, makeup, gum, school supplies, etc—organized and at hand. Keep small items safely stowed and sanity in check.